That said, the Tiguan has always offered these characteristics to its owners. It’s always been one of the most fun to drive compact SUVs in its segment, and it has always stood out in term of performance and handling. What is different this year, is that now the 2018 Volkswagen Tiguan also happens to be one of the most spacious and versatile compact sport utility vehicles in its class. Every 2018 Volkswagen Tiguan that will be coming to Canada is built on an extended wheelbase which explains why it is now so spacious. Indeed, the 2018 Volkswagen Tiguan has more space than ever, and can even accommodate a third row of seats if you need it. There are more than 1,000 litres of cargo space behind the rear seats when every seat is in place, and more than 2,000 litres of cargo space if you lower the rear seats. That makes the new Tiguan one of the most cargo-friendly compact SUVs in its segment. That said, the new Tiguan is always quite impressive in term of fuel economy. With an average fuel consumption rating of less than 9.0 litres per 100 kilometres, the new Tiguan doesn’t require any compromise for its performance. 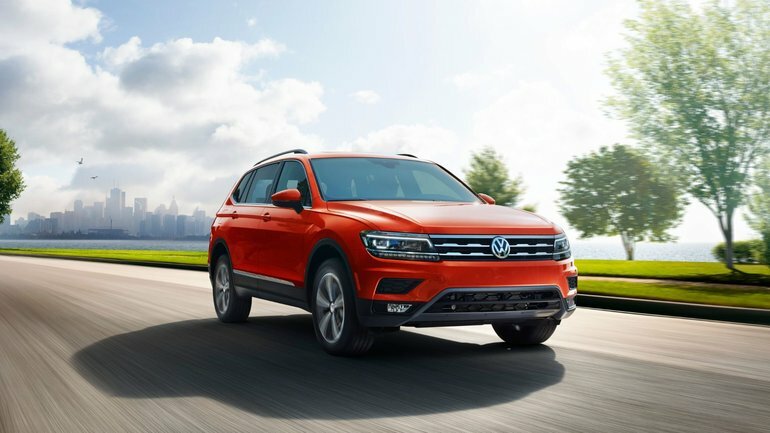 To learn more about the 2018 Volkswagen Tiguan, contact us today at Myers Volkswagen!